Andrea Dezsö, a visual artist and writer, was born and raised in Transylvania. 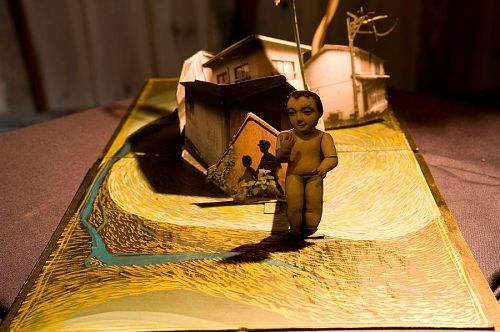 She creates psychological, historical and deeply personal narratives that include images and constructions from childhood, memories of growing up under communism. Dezsö makes drawings; small, densely worked up one-of-a-kind artist's books; intricate, multi-layered paper cutouts; embroidery; sculpture; installation; animation and large-scale murals. She aims to create experiences of beauty infused with mystery all people knew in childhood but rarely connect with during their adult lives. Dezsö currently works on The Demon Bridegroom, a stop motion puppet animation based on Eastern European Jewish mystical tales. She is Assistant Professor of Media Design at Parsons, The New School for Design. She is currently based in New York City. Andrea Dezsö's HEART project consists of a 9-minute animated film and a limited edition flip book containing images that compliment the film. Andrea executed the HEART project while living as artist-in-residence in Kamiyama, on the island of Shikoku, Japan in 2008. The work revolves around the Heart Sutra, a central text in buddhist practice, and incorporates craft techniques and sounds from the region. She worked in the studio of a master indigo dyer to create a series of original designs and abstract images using traditional Japanese indigo dying techniques. 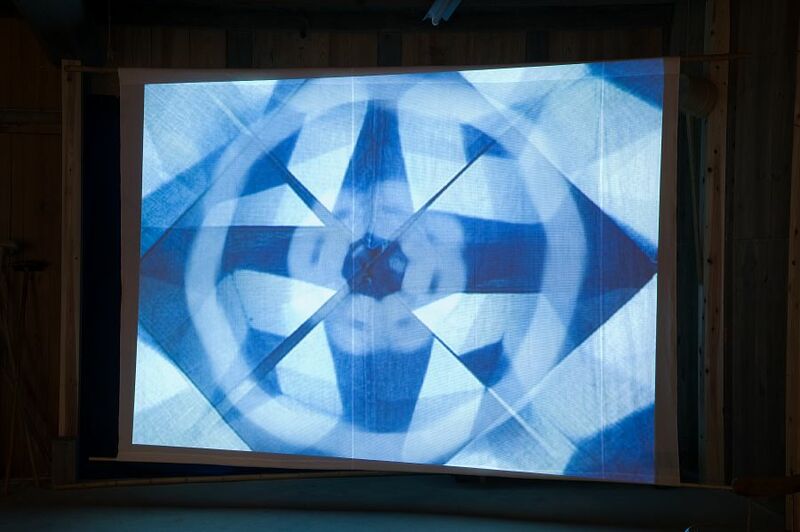 Andrea first dyed images on indigo cloth, and then brought the images together to create the kaleidoscopic effect in the video and flip book. The soundtrack to the animated film includes nature sounds recorded in the Kurozo Bog and in Kamiyama, and features pilgrims chanting the Heart Sutra upon reaching their destination at a shrine. Kamiyama is on the pilgrim route made up of 88 shrines across Shikoku island. The presence of pilgrims who trek across the mountainous island to each of the shrines is part of the local culture, helping to define the spirit of the place. Residents of Kamiyama help pilgrims to reach their destination, and this spirit of generosity to strangers is deeply ingrained in the place. Andrea experienced the support of the community during her stay in Kamiyama, and offers this work as a gesture of appreciation. 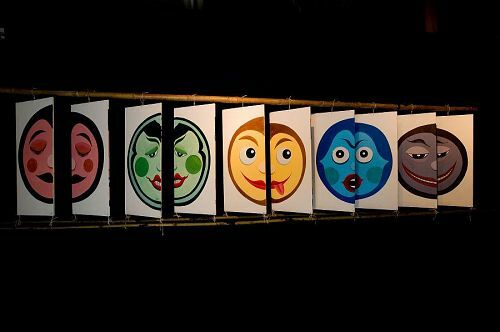 Fusuma-e screens were widely used in Tokushima in traditional puppet theater performances (ningyo joruri) until the 1930s, when the artform was largely abandoned in favor of other types of entertainment. The screens formed a backdrop to the stage during puppet shows, and were also used during intermissions to create simple optical tricks and visual illusions. The fusuma-e karakuri performances were held as outdoor entertainments in Japan, much the same way as carnivals and circuses in Europe and America. Many of the fusuma-e screens were created by itinerant artists who passed through the region. It’s in this spirit that Andrea painted 10 screens with images of colorful faces, each of which can be rotated in the traditional way to reveal a different image on the back. The Sakura Theater, which preserves the artform and still uses some of the 1,500 antique screens in Kamiyama’s collection, will perform with Andrea’s screens. 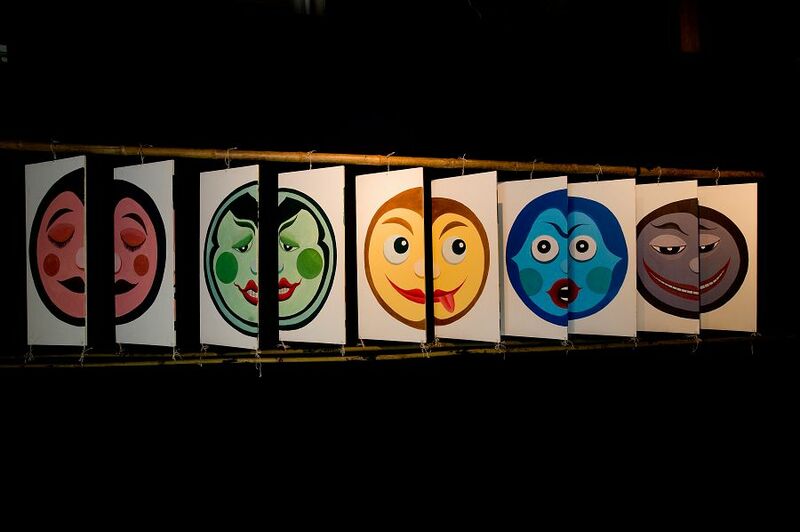 These may be the first new fusuma-e screens used in a performance in Kamiyama since the 1930s. Andrea created a series of images that relate to her experience in Kamiyama, Japan, where she was welcomed for two months as a guest of the Kamiyama Artist in Residence (KAIR) program. The artwork explores the sense of being a stranger in a new place, and finding a way to experience this new place as a home. This cycle of work includes a limited-edition manga book; two one-of-a-kind hand-made pop-up books; and a series of paper cut-outs that assemble into a miniature city. Andrea found that many of the buildings in Japan constructed from concrete closely resemble the architecture she was surrounded by as a child growing up in Romania. She took photographs of buildings in Kamiyama, Tokyo, and Kyoto, and assembled these into collaged and constructed environments. The images in the Manga book are arranged in a succession that appears to form a narrative, although a storyline is not readily decipherable. 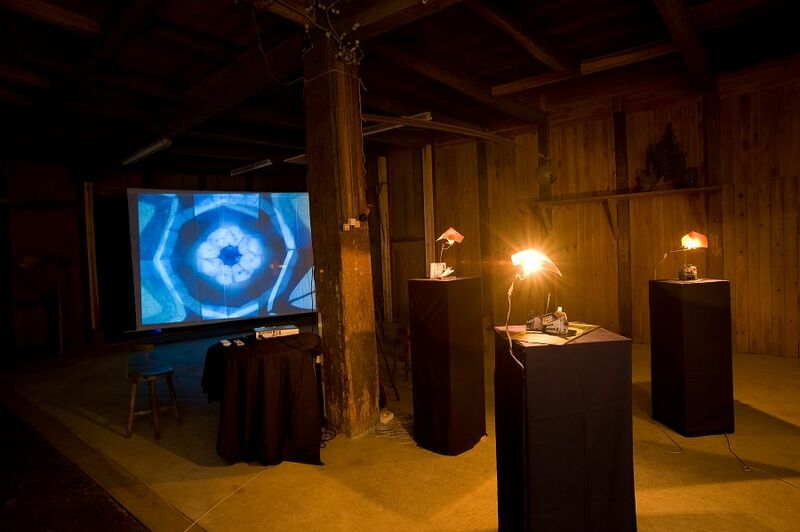 Each viewer is free to create his or her own story based on the dreamlike visual images. The idea for the Manga book came from Andrea's experience looking through Japanese manga books and not understanding any of the texts, but trying to interpret what was happening. These works are about finding something that feels familiar within a situation that is new and unknown. When I draw I pay much closer attention to small details such as which shoelace goes over and which one under before they are tied, or which direction a particular fish's scales tilt, how objects are grouped and how they relate to each other. I become fully aware of how much detail and variation exists in even the smallest patch of the world, a table, a plate. How different the faces of two grilled fish of the same species can be. How the chopsticks in a pair have subtle differences, like identical twins. Drawing is this awareness, this being present in the moment, when the world shrinks to a very tight circle around the object and the drawer, and everything else slowly falls away. It is for me a form of spiritual practice, a form of meditation.